Publisher: Mary Ford Cake Artistry Centre Ltd. 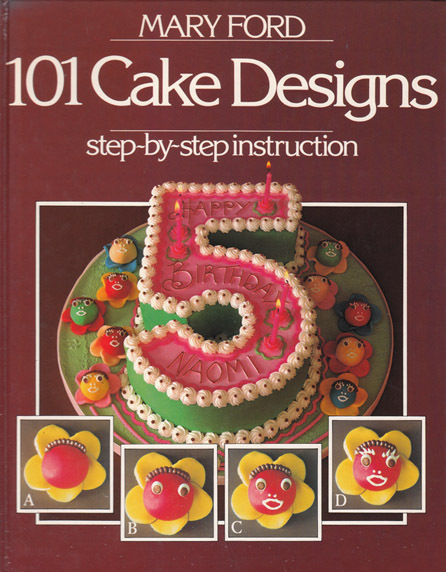 Description: Illustrated throughout with high-quality colour photographs detailing each stage of the cake making process. Full-page colour photographs of the finished article. Glazed pictorial boards are in very good condition. Light marking and staining on front pastedown and endpaper. Apart from some light yellowing along the tips and edges, pages are in excellent, unmarked condition. Measures 28 cm × 22cm (11.2″ × 8.8″). 4to. 320 pp.